Application Deadline: The Master programmes applications are open until 31 December 2016 for those seeking financial support from the LKY School; and until 15 January 2017 for those not seeking financial aid. The Ph.D. programmes applications are open until 15 December 2016. Lee Kuan Yew School of Public Policy at National University of Singapore (NUS) is offering fully funded scholarships. These scholarships are available to pursue masters or Ph.D. program in 2017. The programme aims to train the next generation of thought leaders with the analytical skills and substantive knowledge needed to generate, evaluate, and communicate research in public policy. The Lee Kuan Yew School of Public Policy is an autonomous postgraduate school of the National University of Singapore (NUS). It is a leading global public policy school in Asia. TOEFL /IELTS is mandatory for all MPP, MPA and MPM applicants except those with Bachelor’s degree conducted entirely in English. 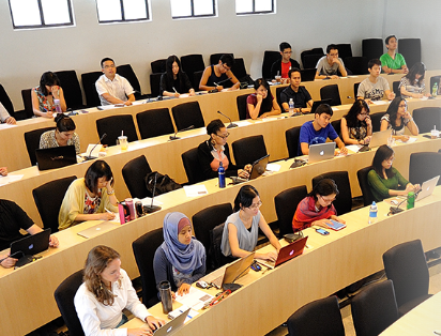 Course Level: Scholarships are available for pursuing Masters and Ph.D. Programme at the Lee Kuan Yew School. Study Subject: Scholarships are awarded in the field of public policy, public administration, and public management. Eligibility: Scholarship applicants must have good academic and professional records. They must demonstrate leadership and a desire to contribute to public service. Not all the awards will be made unless there are candidates of sufficient merit. Scholars should not concurrently hold any other scholarship, fellowship or award without the prior approval of the School. Candidates should indicate that they wish to be considered for financial aid when they submit their application through the LKY School website. Nationality: Scholarships are open to students of all Nationalities. 1. Test Requirement: Please note that GRE score is compulsory for Ph.D. applicants. All applicants must submit their GRE score via the institution code 7541. How to Apply: Applicants are strongly encouraged to submit an online application. Below is the list of documents needed to complete the application. Students do not need to submit the physical copies of the documents if they have uploaded them via online system. You can Visit the Official Scholarship Website for more details. 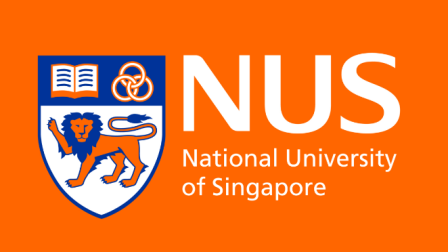 Now that all the information about National University of Singapore has been delivered nicely; talented students who are eager to pursue their Free Tuition/Scholarships/Study In Singapore for Masters and Ph.D. Programme and Other Degrees, can apply now. Please read the information from beginning to end, you see direction to apply, check your mail too, we sent you message.